I saw this sign today while walking the dogs along Ave. España at El Pensador. It made me laugh out loud while the dogs and I were standing on the street corner. For me it was a very funny sign, even though it was meant to be very serious. 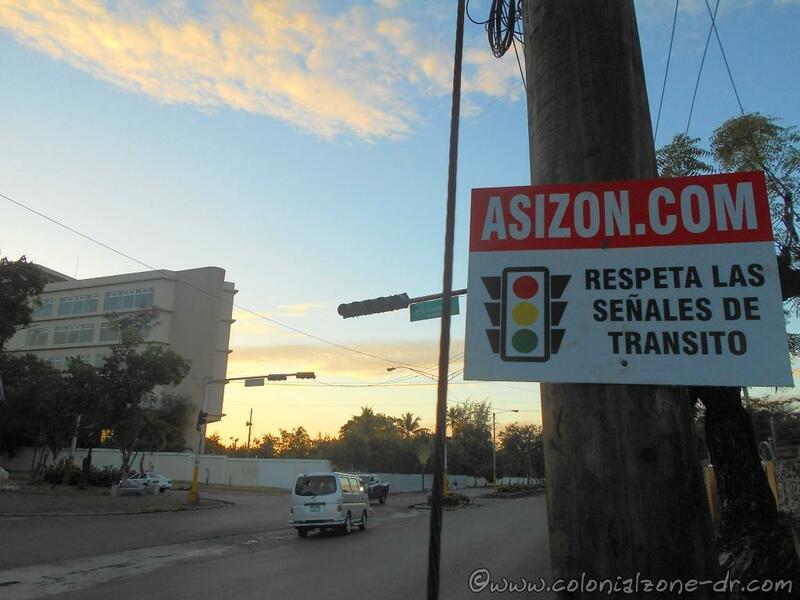 RESPECTA LAS SEÑALES DE TRANSITO / Respect Traffic Signals. Sign RESPECTA LAS SEÑALES DE TRANSITO Ave. España but traffic lights are broken. All good. A very good and intelligent recommendation and a rule that should always be followed. A very good but funny sign. The issue is, the traffic signals here have been out of order for a few days now! There are no lights here to respect. A few months ago these lights were out of order for 2 months. Another Wowwee here in Dominican Republic. Wowwee's funny sign, sigñales de transito, traffic sign, traffic signals. permalink.